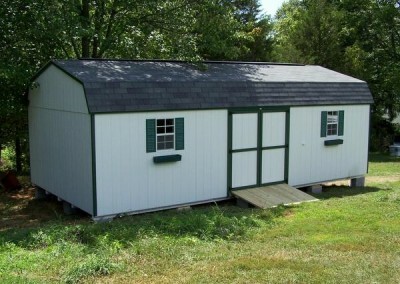 A white painted high barn shed with a shingled, barn style roof. 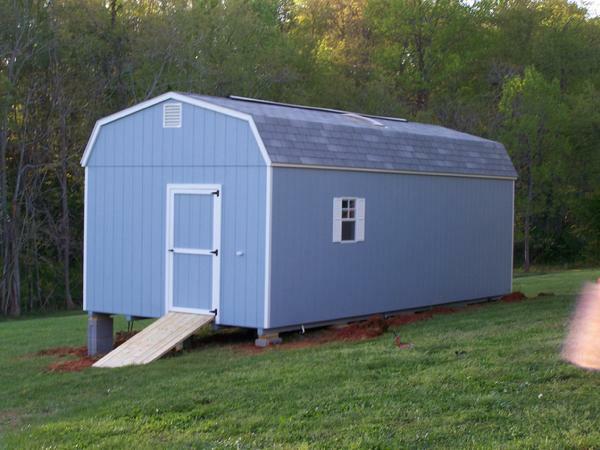 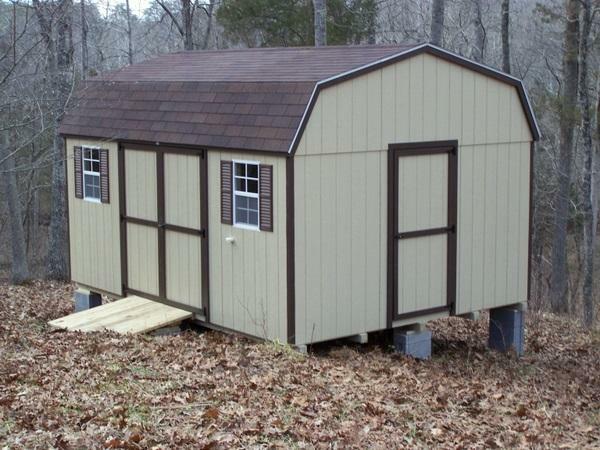 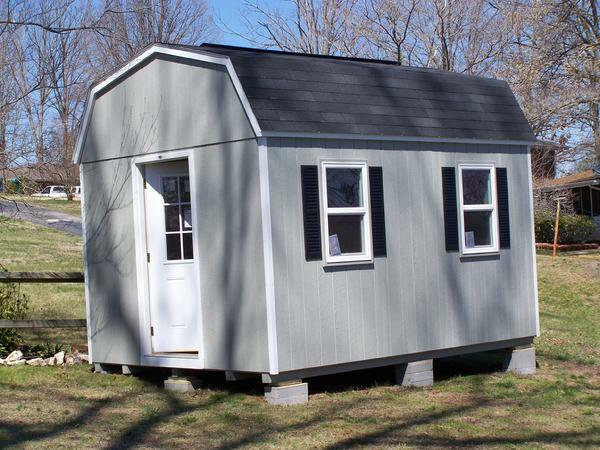 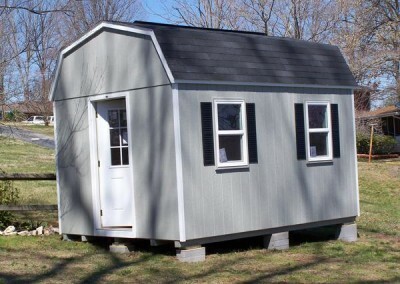 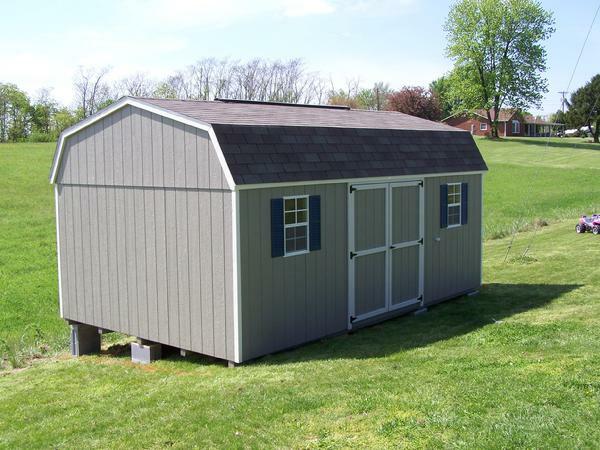 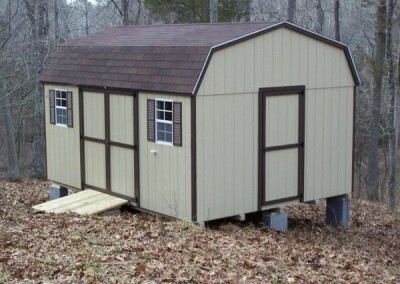 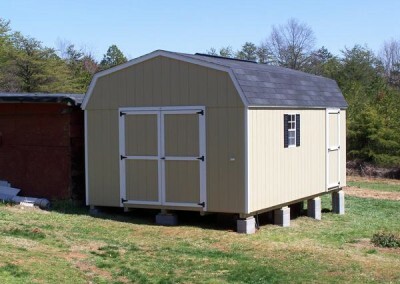 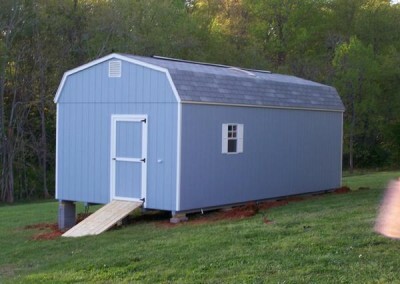 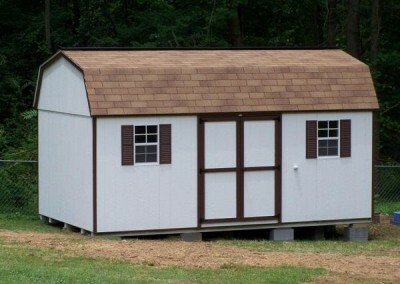 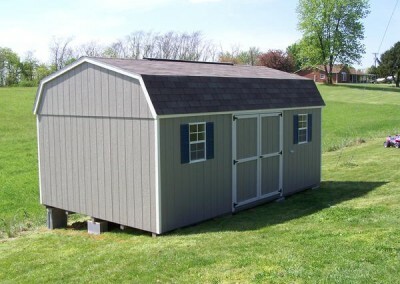 Shed has brown trim and a set of solid double doors. 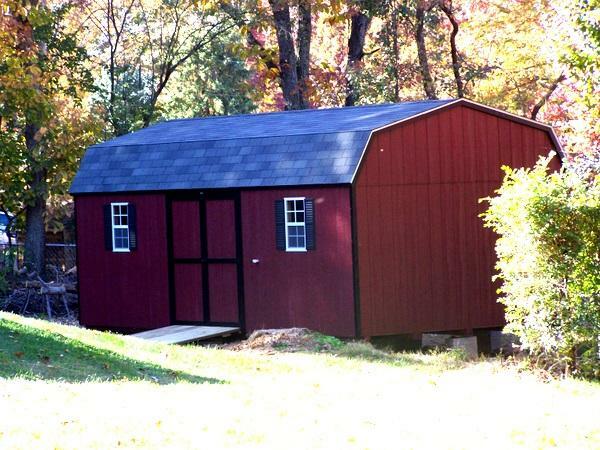 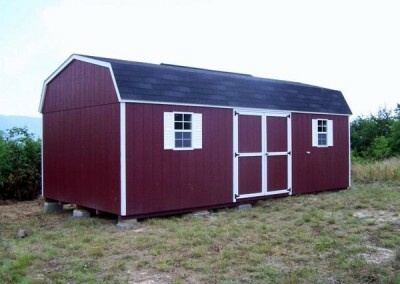 A dark red painted high barn shed with a shingled roof. 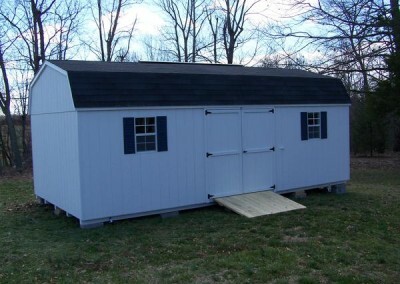 Shed has a set of double doors and windows with white shutters. 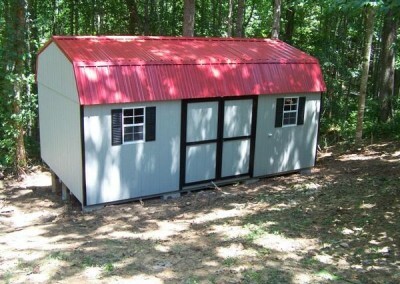 A painted shed a high barn style roof. 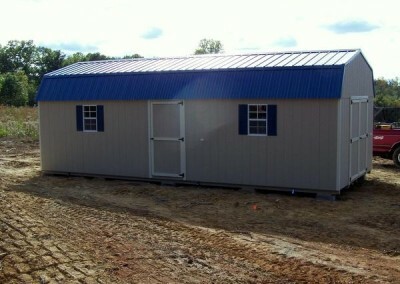 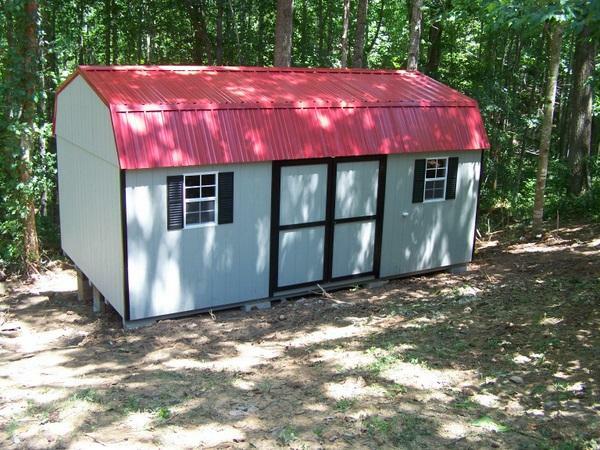 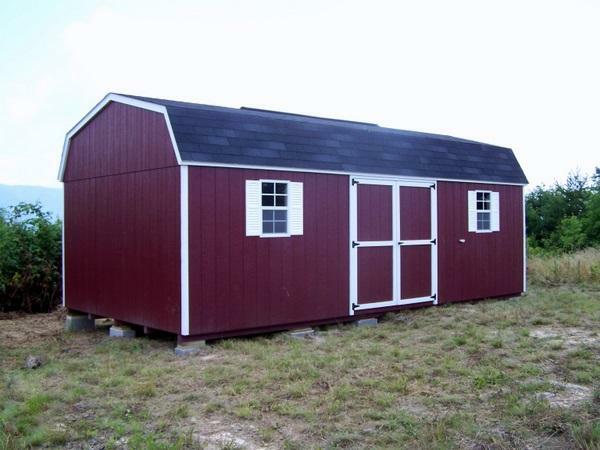 Shed has red metal roofing and a set of double doors.